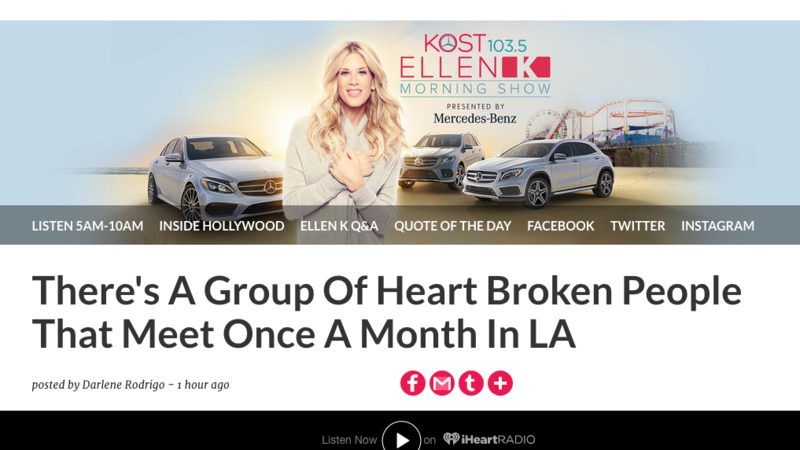 Heart Broken Anonymous is a support group for people that are heart broken. 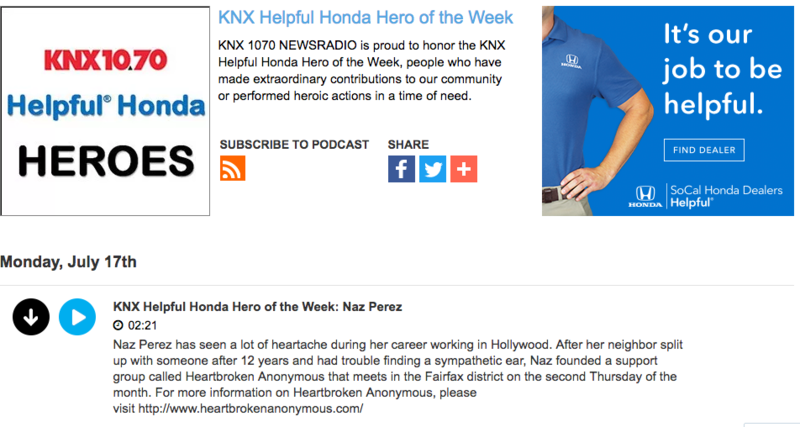 Naz Perez met a stranger who was very emotionally heart broken and was more comfortable talking to her about her heartbreak than her own family and friends. 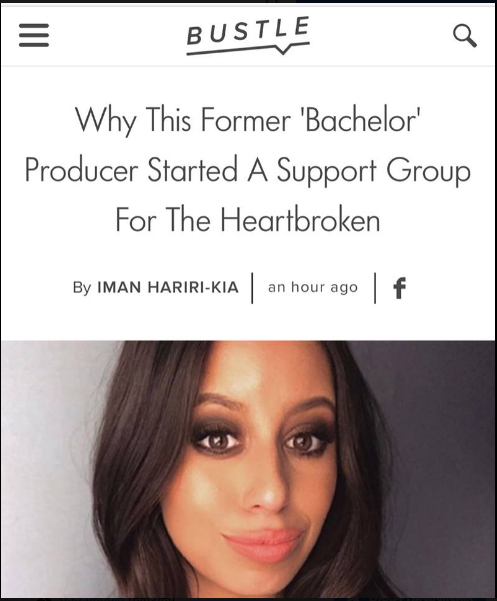 After meeting her, Naz thought it would be great to create a non-judgmental space where people can come and share their heart break with other strangers and know they’re not alone. Heart Broken Anonymous meets the 2nd Thursday of every month. 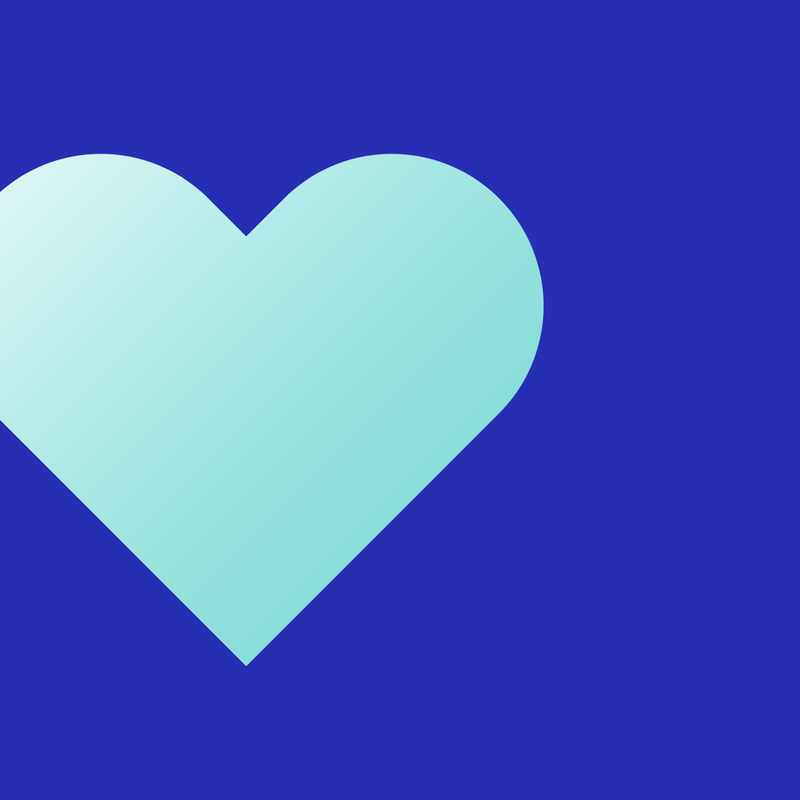 Naz was named to The Mend 30 2018 list by Let’s Mend, the #1 app for breakups. The Mend 30 of 2018 is a group of compassionate, influential innovators, creators, academics and storytellers who are opening the hearts and minds of society. 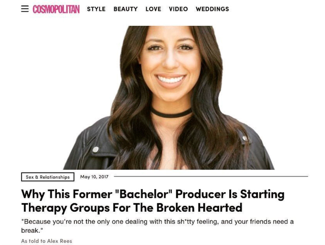 Bustle "Why This Former 'Bachelor' Producer Started A Support Group For The Heartbroken"